Reading the upcoming weekly Torah portion and…it is just so relevant to our times. Jacob, Ya'akov, is a man of peace, a man of God. He is confronted with the fact that he will soon face his angry and violent brother Esau. Ya'akov is not looking for a confrontation, he is not looking for trouble, but he cannot ignore this situation. What do we read? He approaches Esau with great humility….He sends messengers ahead to Esau…Thus said your servant Ya'akov…I am sending gifts to find pleasure in your eyes. The messengers come back and say, no use, the man is preparing for war, "and he has 400 warriors with him." Ya'akov fears for the women and children (sounds familiar, attacks on women and children just like we had yesterday in southern Israel). Ya'akov is greatly afraid, he splits up his camp, trying to salvage what he can of his family. He prays to God, he speaks with great humility, "I am small and unworthy of all the great blessings you have bestowed upon me." "Please save me from the hands of my brother, from the hands of Esau"
This is all so clear there is hardly any need for commentary. It is the same as our lives today! Israel against its' Arab neighbors. We pray for peace but prepare for war. In the end this case goes well, Esau is temporarily appeased (ceasefire) and Ya'akov and his family get to live another day. But Ya'akov still must fight the Angel, the messenger of Esau. Working on peace, Tour and Train visiting our Bedouin friends, Judean desert, for coffee. (Tour and Train, June 2012, Moshe Katz with Rob and Tom from England. Preparing for war, Training in realistic knife defense. Tour and Train November 2012. "And Ya'akov remained alone, and a man struggled (wrestled) with him"
How true, we are always alone in our struggles. 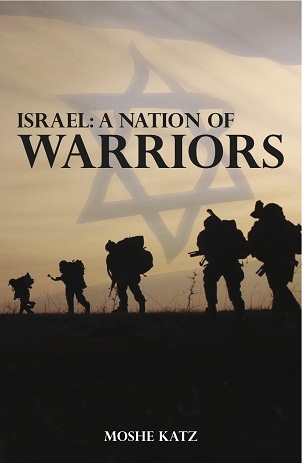 It is in this fight, this wrestling match, that Ya'akov (One who follows) has his name change to Israel, meaning "One who has struggled with God and man and has prevailed"
Israel means strength, survival, a message for our people for all time. We must be strong; we must struggle and overcome our enemies. And the passage ends, "And He blessed him there." It is only after the struggle the Ya'akov becomes Israel, it is only after the struggle that God blesses Israel, and he blessed him There! There where he struggled, there where he fought. If you want God's blessing you must fight, you must stand up for yourself. 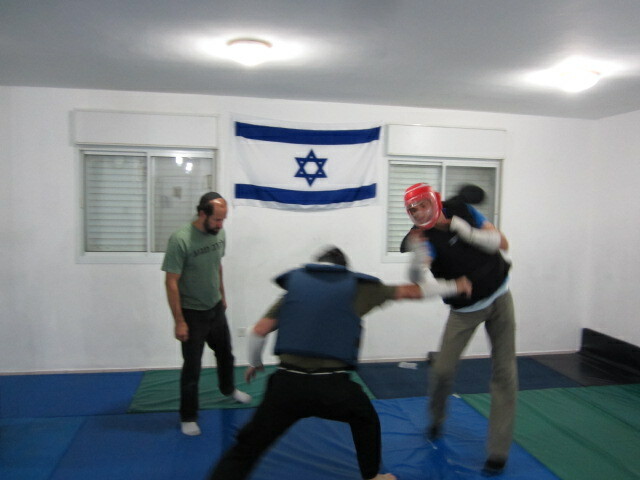 Come to Israel where we take our Krav Maga seriously. Learn self defense' simple, effective, designed to send the terrorist running, not to get your photo in a fitness ad.